The brand is only running the big game commercial in St. Louis. Panera had decided to run its 2019 Super Bowl commercial in one city only: St. Louis. 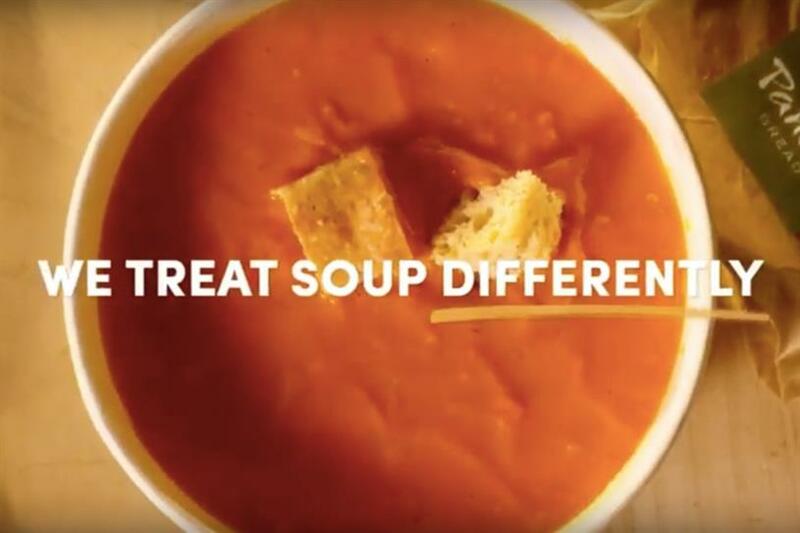 The restaurant chain is airing its "Clean Soup" spot, created by Anomaly, in its Missouri hometown during the New England Patriots vs. Los Angeles Rams game. Before becoming the L.A. Rams for the second time in 2016, it was a St. Louis team for 20 years. "At Panera we believe in celebrating moments that matter to our customer and those that might just include food," Scott, Nelson, VP of marketing at Panera, told Campaign US. "And rather than go with a big national spot, we chose a more local, personal and purposeful approach... which is what the Panera brand is all about." 1) Panera/St. Louis Bread Co. was born in the STL, don’t forget your roots. 2) Remember a team called the St. Louis Rams? They do. 3) 100% Clean food should be crashing all the chicken wing, pizza, dip parties! 4) Local matters, our communities matter. He added in the post, "Nothing flashy, just straightforward soup..."